Tshirt yarn is so much fun! 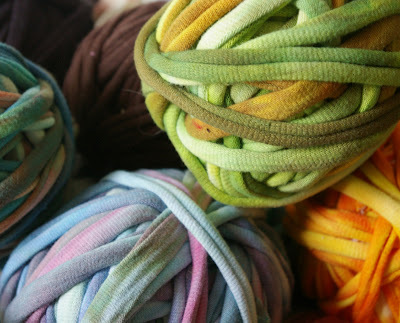 Earlier this week I posted my top 12 favourite tshirt recycling ideas ~ one of which was making yarn out of old tshirts. 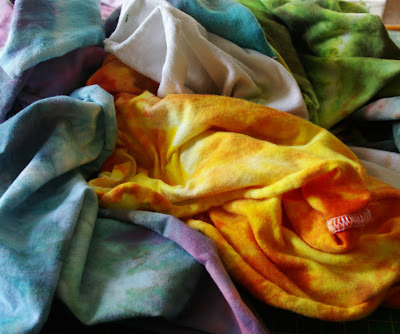 This has been on my 'to do' list for a long time (especially since I have a heaping box of old tees awaiting new life!). So I gathered up the larger tees~ definitely look for large and plus size ones to get the most yarn out of them. (And stole few of my big husband's worst looking tees from the laundry, score!). Dyed them ('cause that's how I roll). Depending on your intended project(s) you may want to avoid tees with side seams. Most ladies fashion tees have side seams, most promotional and basic tees do not. fine in my case as I plan to make a rag rug. You can knit, crochet, weave, braid... you name it! 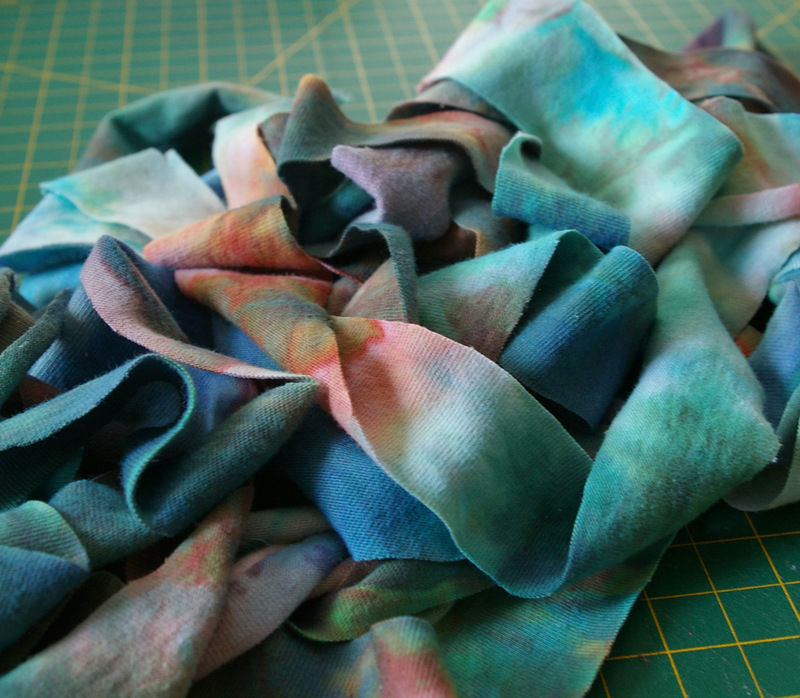 Try some of the projects I have pinned on my Tshirt Recycling Board! scarves, oh so many scarves! 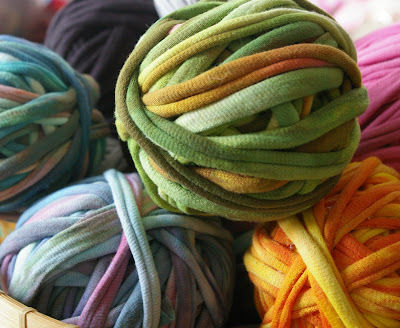 I am off to find myself a great big crochet hook to make a washable rag rug for my daughter's play room!